I agree about Ashton's book being an example of readable erudition and accessible expertise. It's also an exemplar of a monograph which enages with a giant like Bultmann and is respectfully critical and openly appreciative. About ten years ago I bought Ashton in hardback as a gift from obviously generous friends! Along with Robinson's Priority of John, Barrett's John and and Brown's Anchor Commentary,these have been pillars in my Johannine peregrinations. I know there's a raft of more up to date stuff, but these volumes have a richness of judgement, and an independence of thought worthy of the Evangelist. Chris, I enjoy reading your posts and comments, although I'm pretty thoroughly intimidated from leaving comments, because I don't know enough. But I read in hopes of learning. 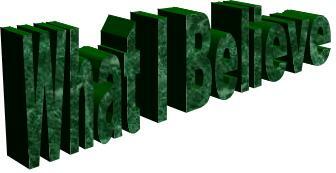 I was astonished to see my blog listed in your theology blogroll, because a theologian I am not. I remember one speaker I heard many years ago showing us a New Testament according to Bultmann, with many parts cut out, literally cut out with a scissors. All the miracle stories were gone, and I believe that it was the Gospel of John that had almost nothing left to it but the borders of the pages. 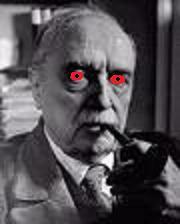 I think he did not approve of Bultmann. Mimi - nobody knows 'enough'. Maybe you don't think you are a theologian but then neither are half the others at least on that list. You are astute, wise, compassionate and witty. Steph, thanks. I'm trying to think of the man's name, but I can't. No, he did not have red eyes, but he was a transplant from England. It could have been Revelation that was so very mutilated, or perhaps both. Sounds like Bultmann was a fan of Thomas Jefferson. He also took a pair of scissors to the N.T. And after cutting out all of the miracles he assembled what was left into a book called "The Philosophy of Jesus of Nazareth." He later expanded that version, adding French, Latin, and Greek translations, and called it "The Life and Morals of Jesus of Nazareth." Hi Jim, I must say, your comment was beautifully put! I am rathe jealous I didn't find your words for my post, actually! Grandmere mimi, Thanks for your comment! "it was the Gospel of John that had almost nothing left to it but the borders of the pages." Nice anecdote, and I second Steph's comment about you (though she knows "enough"!). Bultmann did chop parts of John around, attaching verses in our canonical copy to later or earlier chapters to make the argument run smoother. He did this to get a sense for the shape of the sources that mde the Gospel up. But John's Gospel was Bultmann's favourite. He thought exemplified exactly what he attempted in his own work: dymthologisation of myths in the service of the revelation of the Word, bringing existential encounter. Most think Bultmann was wrong about this, however! "Chris Tilling is totally depraved for the distortion of his image"
I deny everything, the red eyes must have been caused by camrera flash .... or perhaps somehting more sinister! Thanks for the link, John, that is one seriously sad but at least honest sight!